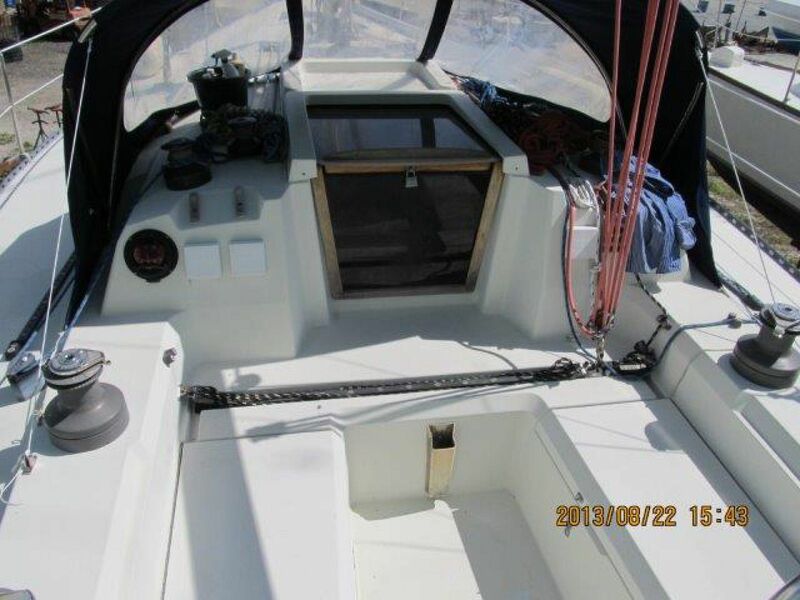 ANOTHER PRICE REDUCTION ON A VERY CLEAN, CENTERBOARD, RACER/CRUISER. 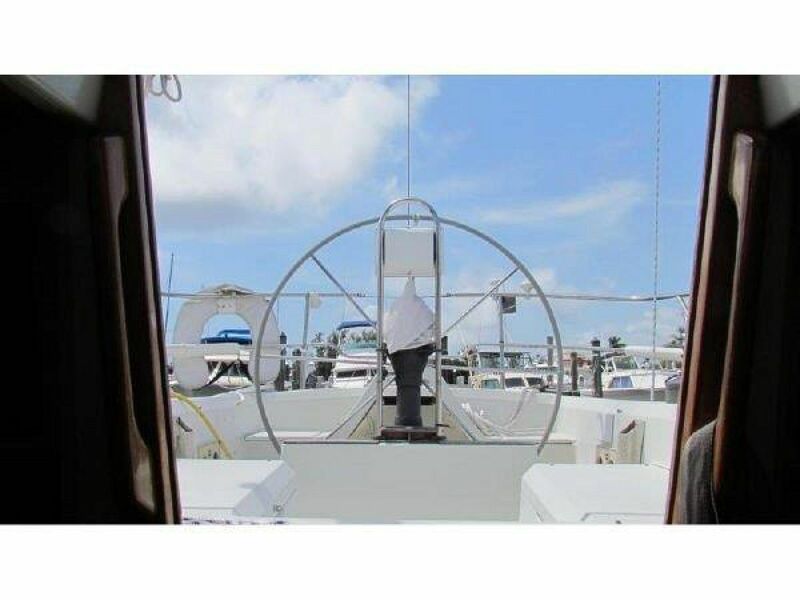 Bear was previously owned and maintained by legendary Yachtsman and Sailmaker Mark Ploch, who runs the Doyle franchises in City Is. and St. Pete, and is a long-time racer. She has been continually maintained to a high standard and consistently upgraded. She has been cruised only and never raced. 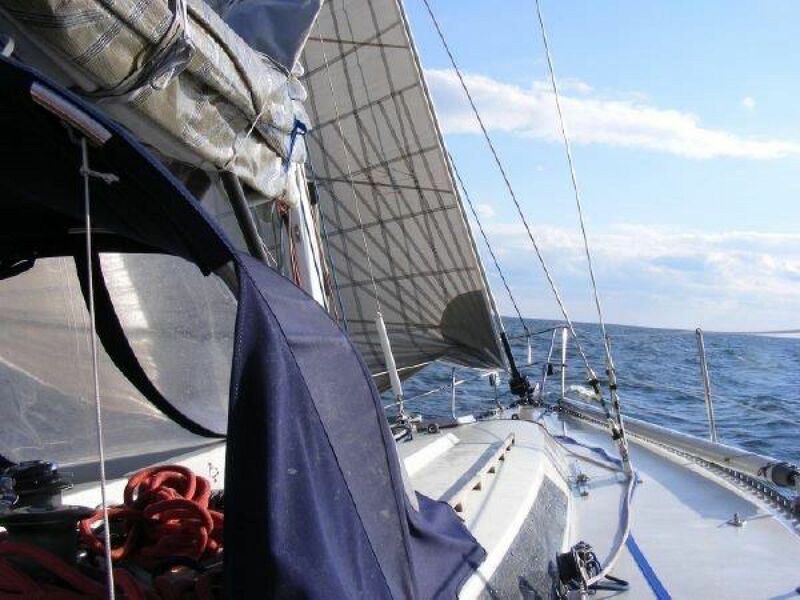 Bear has been outfitted with Doyle Kevlar racing sails, which are in excellent condition, plus cruising dacron main and genoa sails. Also, new Delat Anchor and rode. This is a great boat that can be enjoyed as a cruiser or racing around the cans. Bear has a great layout for cruising or club racing and still manages to sleep six plus. 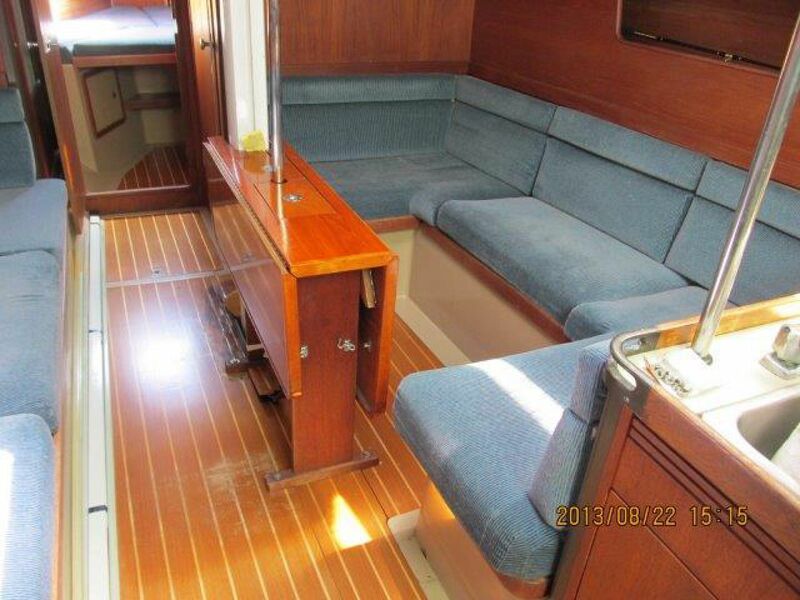 Entering the cabin through the companionway, the first thing you notice is the new (2009) beautiful teak and holly sole. 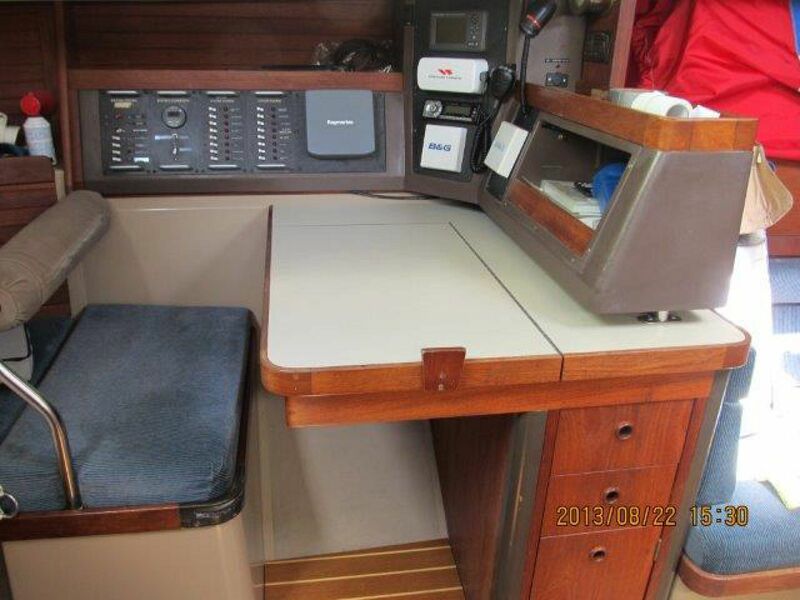 The navigation station is to port with a double quarter berth aft and a full galley opposite to starboard. The main salon has a large drop leaf table for big crowds with U-shaped seating that’s convertible for sleeping. 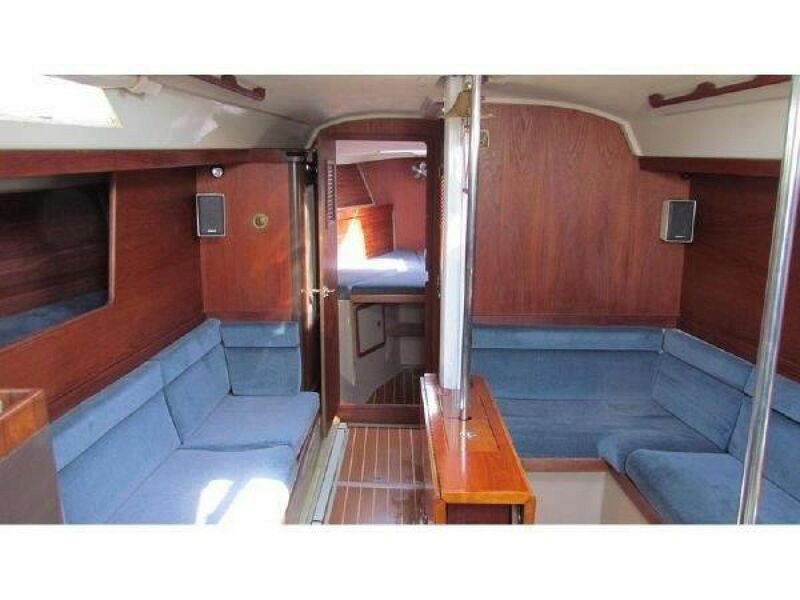 To port is a large settee with a raised pipe berth outboard. Storage is plentiful in the main salon. 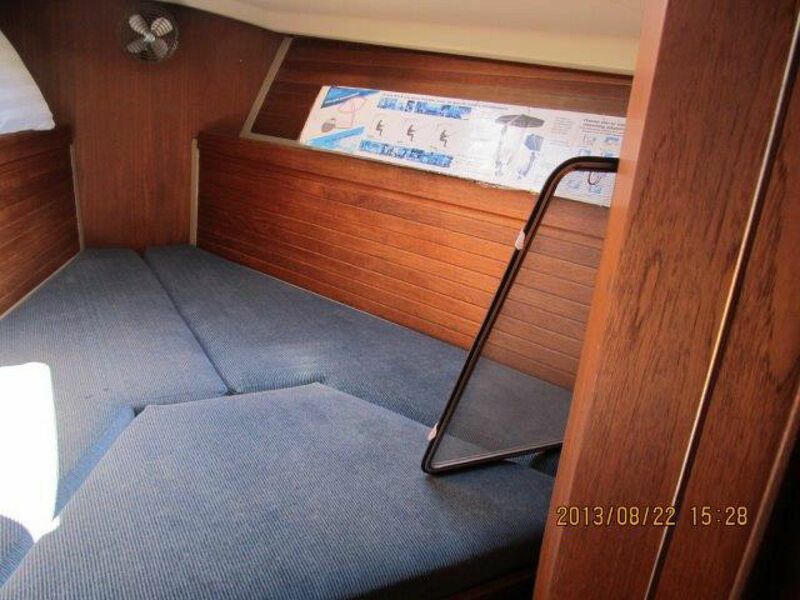 Moving forward is a spacious head w/shower to starboard with ample storage and lockers. A small bureau and hanging locker to port. 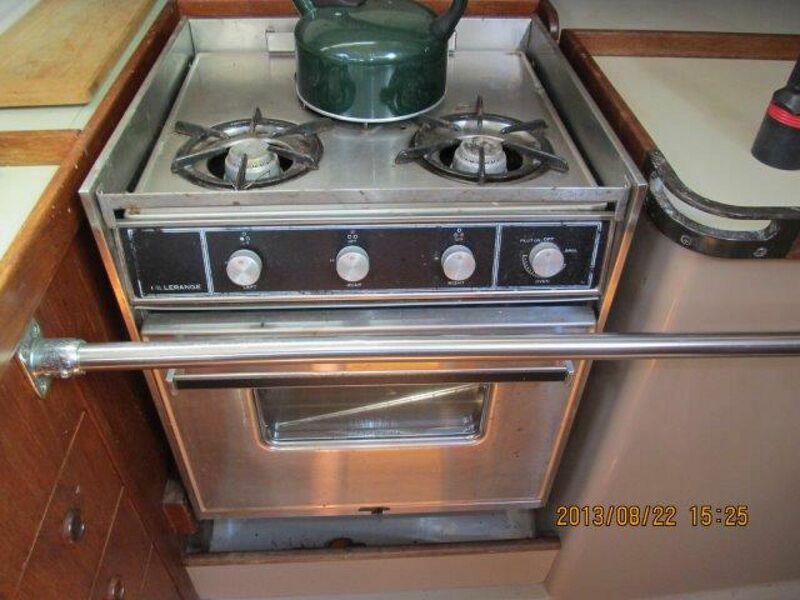 A private V berth forward with outboard shelves, opening hatch and storage under. The interior is in excellent condition and ready for her next owner. BEAR is a clean well kept Racer/Cruiser. 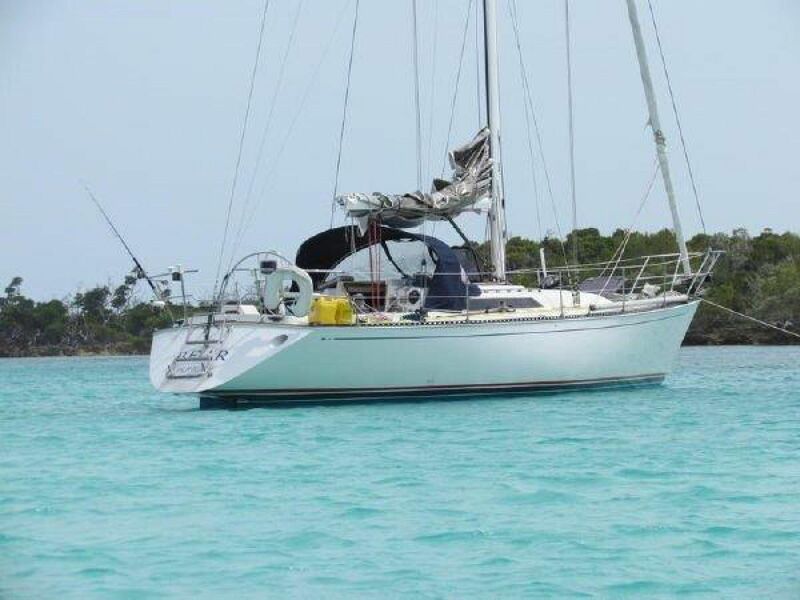 A good design with quality construction and racing pedigree, she has lots of room for family and friends. A great weekend boat for the family or a fast fun around the cans competitor. Owner very motivated and looking for offers. 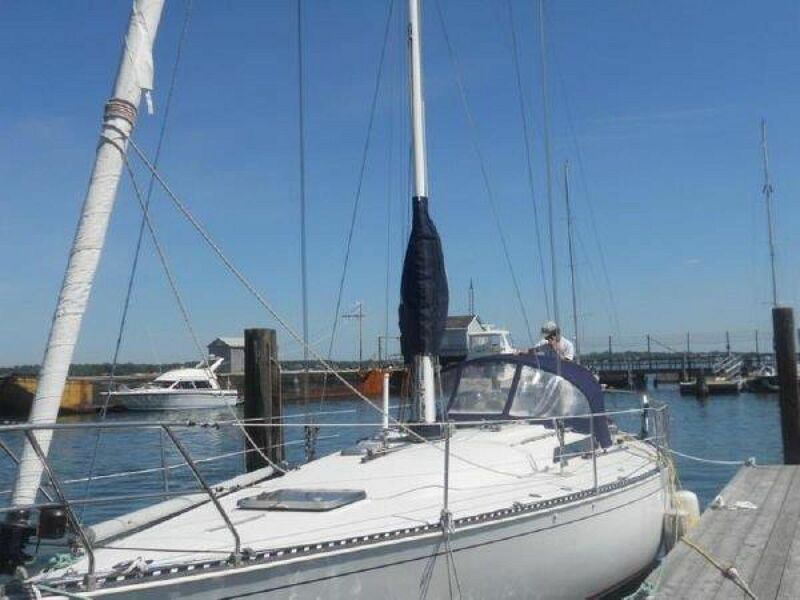 Her racing sails are valued at $20,000 alone. BEAR is easily shown in Lantana FL.